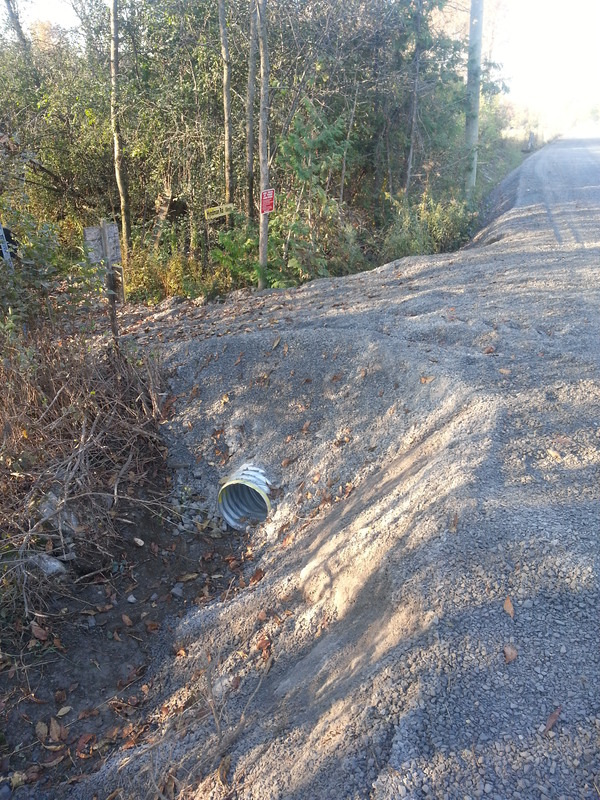 New culverts have been installed at both trail entrances. 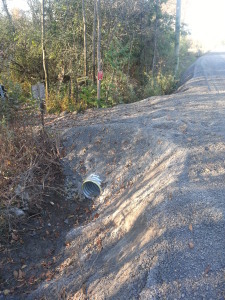 Where there used to be a steep wooden ramp that was often slippery due to perpetually wet conditions, there is now a gradual stone ramp and a shiny new culvert. Special thanks to North Dundas Public Works. Multiple riders on the weekend reported very wet trail conditions. Trails are all passable, but expect spring water levels and mud. 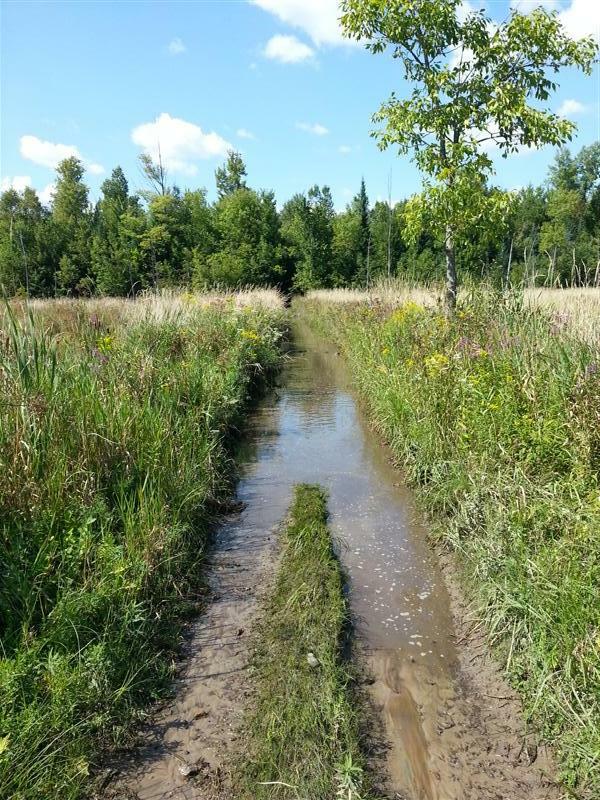 Wardens on the trails today reported that trails are muddy with standing water from the recent rain, but easily passable. 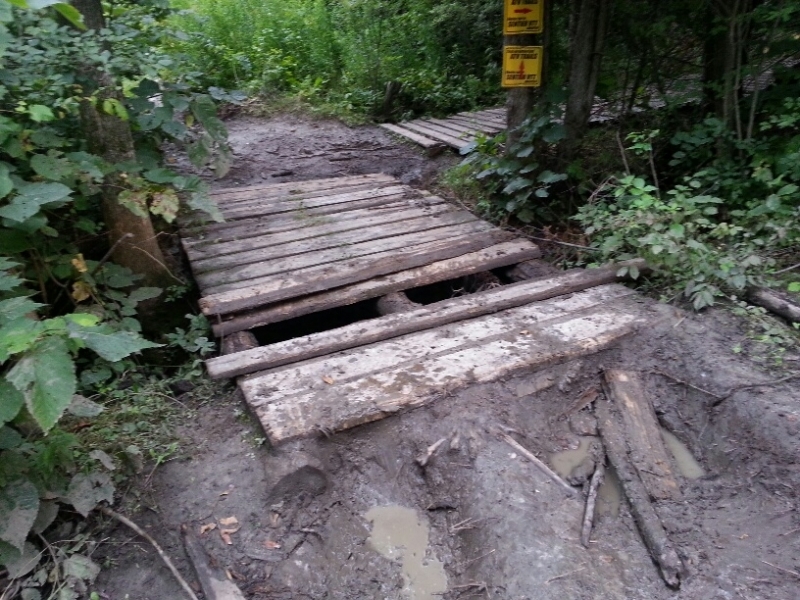 Wardens discovered that the approach to the 1000′ boardwalk had become badly rutted and stopped to make repairs. ATVs should be able to get up on the boardwalk much easier now. They also cut several trees that had fallen across the trails during recent thunderstorms.